There’s little doubt that the retail business is changing, and that technology is one of the main drivers of that change. Some are surprised, however, at the relatively slow pace of this evolution, given that – while gadgets and gewgaws have created countless possibilities (magic fitting room, anyone?) – none have been adopted across the board. Let’s look at a few of the technologies gaining or most likely to gain a true foothold. 1. Simplifiers: Where technology can help . Transaction: Target’s In a Snap mobile app enables a shopper to purchase directly from a print ad or editorial feature, thereby killing the second thoughts that can seep in between the moment an item is spotted and when it’s actually bought. A second innovation, click and collect, does the same and is highly prized by last-minute shoppers and those with hectic schedules. As odd as it may seem, many would prefer to buy online and then travel to the store or pick-up point at a pre-determined time, rather than waiting at home, unsure when a parcel will arrive. Gap and Banana Republic both offer this service, calling it Reserve In Store. Click-and-collect systems are also helping a number of retailers expand their footprints: John Lewis has only 40 stores, but customers can pick up any item bought online at the country’s more than 300 Waitrose outlets. The same company owns both retail networks. Enhancing: Let us count the ways that the shopping process could be more fun, educational and interesting. Beacon technology is a good example of information enhancement; those embedded in the mannequins at House of Fraser offer additional product information and enable buying on the spot. Mapping store or mall routes for mission shoppers is another example. Virtual store and mall maps are becoming increasingly popular, delivered either in-store or on the shopper’s WiFi-enabled smartphone. Galeries Lafayette in Paris has its own downloadable mobile app that makes browsing and finding easy. And smart supermarkets are beginning to guide you through the aisles to pick up everything you need for a recipe. Visualizing: Lowe’s in-home visualizer and Samsung CenterStage are two great examples of digital tools that help you "do before you do" – designing rooms and appliance choices, respectively, that you know for sure will fit your preferences, habits and practical needs. Washing clothes has never been more interesting. When did personalization become special? Indeed, Normal founder Nikki Kaufman likes to point out that customization used to be the norm. Your tailor made clothes for you, the cobbler fit shoes to your feet, and furniture was purpose-built for your home. Today, it’s only the wealthy who may purchase goods this way. Normal returns these advantages to the average person by leveraging cheap 3D printing and laser cutting techniques to deliver custom-fit 3D earphones for only one user. Another retailer, Indochino, provides "the modern gentleman" with menswear that is hand-tailored based on a 10- minute in-home measurement process. With suits priced from $450-$850, its clothing is within the reach of many. Note that "re-personalization" may be applicable not only to products but to processes, as well; consider Trunk Club, a company that matches you with a personal stylist who handpicks clothes based on your size, style and preferences; sends you a preview online; and then ships your "trunk" straight to your door. Creating a shopping environment you actually want to experience is a trend that’s been around for a long time, but it’s genuinely starting to pick up steam. Making shops a destination and not a chore, increasing footfall and dwell time and growing softer revenue streams are all dividends. IKEA Australia took it to the extreme by partnering with Airbnb to offer overnight stays (complete with puppy wake-up calls), but the simple notion underneath is one of community and the store’s role in it. STORY is a retail concept in New York that "takes the point of view of a magazine, changes like a gallery and sells things like a store." This means that the shop completely reinvents itself from top to bottom every 1-2 months to highlight a trend or theme. 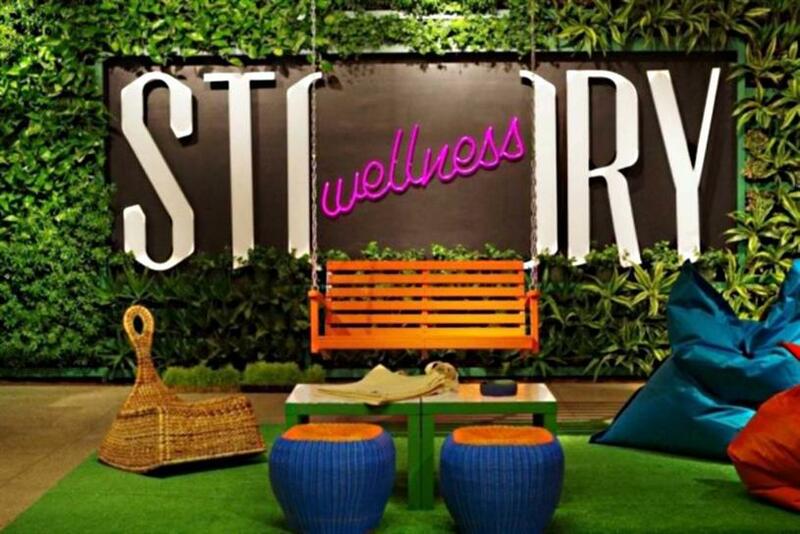 STORY began in 2013 as a "startup store" meant to showcase emerging digital retail concepts, but it has blossomed into a cultural destination whose frequent reboots make it into the city’s arts calendars. Is retail an arena in which technology will ultimately increase relevant human interactio, rather than reduce it? Thomas Pink will not only wrap e-commerce gifts free of charge but will turn your gift message into a hand-written note and tuck it into the box. Others are producing "human" touches like this based on loyalty and tracked purchases. Interestingly, the strength of physical places is becoming evident in the activities of brands that were born online. Jeff Raider, founder of Warby Parker, opened Harry’s Corner Shop in New York’s West Village as a physical presence for his Harrys.com shaving products e-commerce brand. As you might expect, Harry’s isn’t just a barbershop. It’s stocked with locally sourced products, from pajamas and briefcases to motorcycle helmets and notebooks. And while all the products can be purchased from the Harry’s website, the existence of a real store is an almost mythical element of the brand for the thousands of web customers who will probably never see it in person. Warby Parker itself has seven stores in the US as of this writing, and Birchbox opened a storefront last year in New York. Both see these adventures in "old retail" as a way to build existing relationships (and word of mouth from current customers), in addition to picking up new devotees who, for one reason or another, have not been swayed by an online-only pitch. Then of course there’s Amazon’s own foray into melding both worlds with its purposeful rollout of Amazon Lockers, from which urban dwellers can not only pick up their packages but return them as well: a clever hedge against increasing shipping fees. Or should I have put Amazon Lockers in the "click-and-collect" category? In the end, who knows? This article would be different if I were to write it next month… or last month. What we do know is that, for consumers, the walls between the physical and digital are falling and that shopping can still be a hassle. Technologies, experiments and investments that make life easier, more enjoyable and better informed — no matter where in the purchase cycle a shopper may be literally or figuratively standing — have the best chance of making a difference. Jack Daniel is MediaCom global business development director. NFC packaging updates the lowly QR code, but will consumers care? Adaptive retail advertising: Should customers know?